I love a good food trend. Chipotle chiles in adobo? Thank you, Martha. Zatar? Sumac? Oh Yotam. So of course I was intrigued the spiralizer madness going on in my Pinterest and Instagram feeds this fall. I got a complicated Austrian one I’m too afraid to remove from the box, then on a whim ordered this super simple oxo one. I LOVE it! 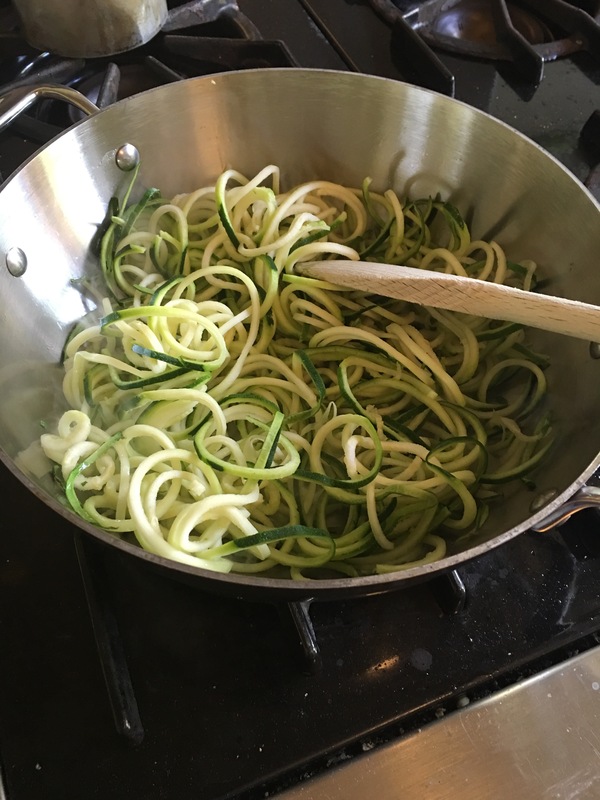 Of course I’ve only spiralized zucchini so far but the noodles it makes are super thrilling and more fun and tasty to eat than most pasta(which, let’s face it, is usually just a bland vehicle for rich sauce anyway). 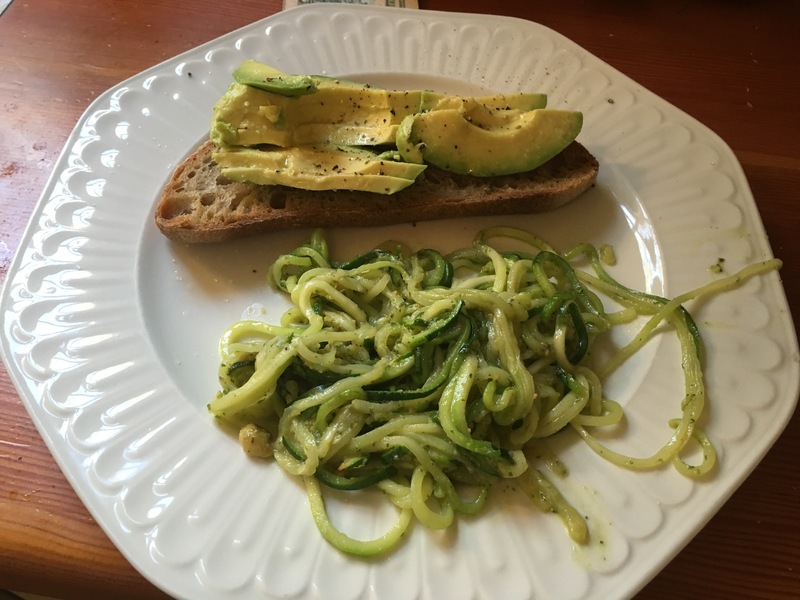 My adventuresome eater loves it too- she slurped up a bowl of zoodles sautéed with homemade radish leaf and pistachio pesto I had intended for her father. I’m looking forward to trying sweet potatoes in a cream sauce, and making salads or summer rolls with raw beets and cucumbers etc… I’ll keep you posted.